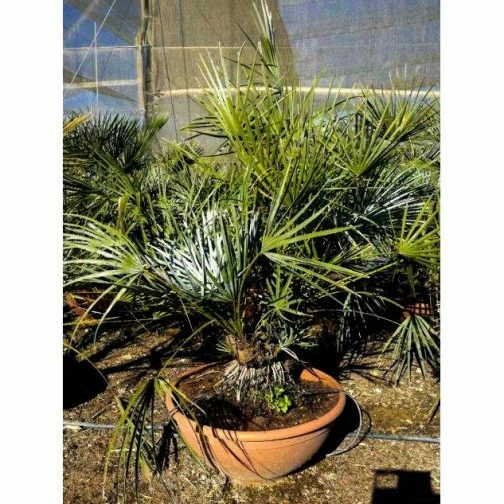 The Chamaerops Humilis Cerifera is native to the Atlas mountains of Morocco growing at elevations of up to 1700m where it can get very cold in winter,it survives periods of extreme drought. 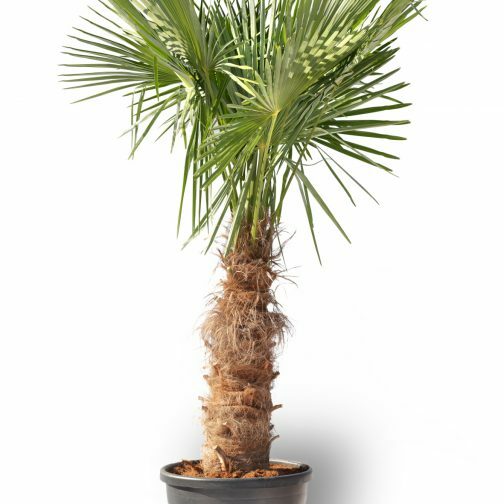 The Cerifera is one of the most cold tolerant palm species, withstanding heavy frosts, and is very popular in Europe. 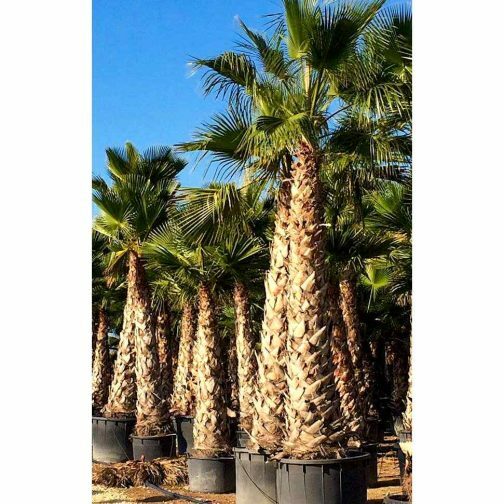 Prefers full sun in a well-drained position, but seems to adapt well to shade and damp locations where the soil is not prone to waterlogging. 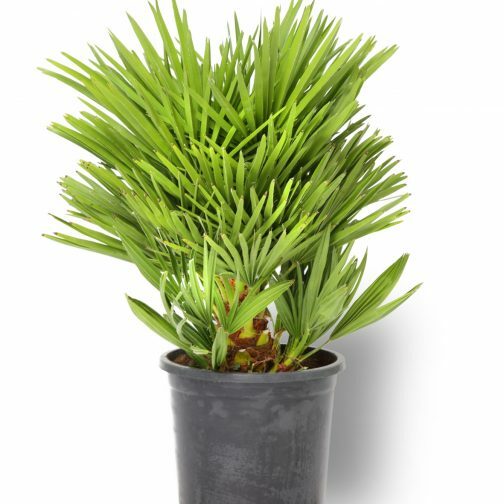 An excellent palm to grow in a container where it can survive drought, heat, wind, cold and long periods of neglect. Like its cousin, it is a variable species prone to clumping. However it occasionally occurs single trunked, to about 3m high. Small, palmate leaves, to about 50cm across, at the end of a heavily-spined petiole.